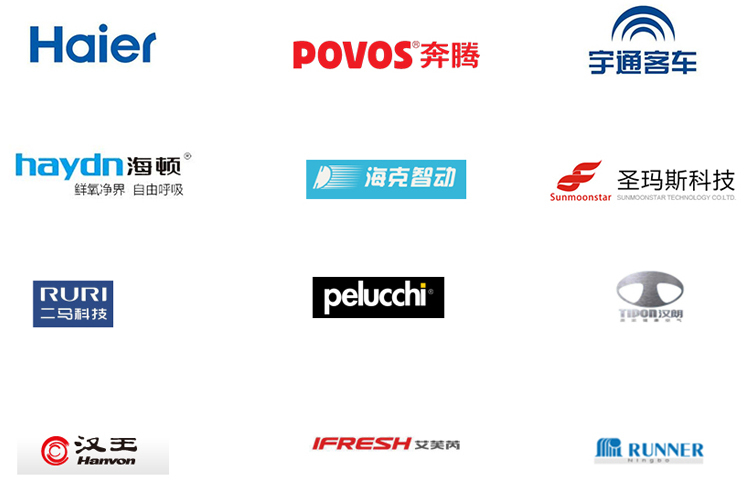 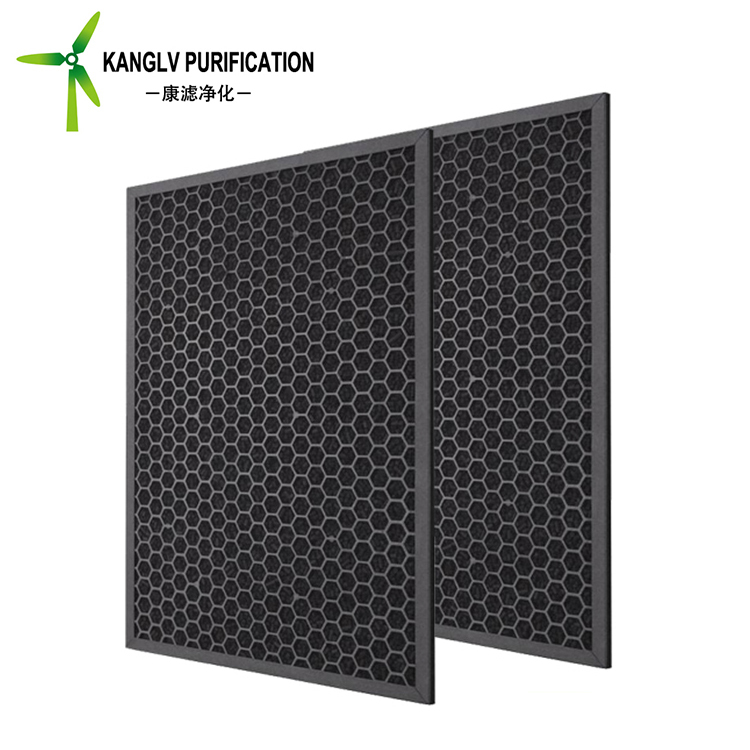 Air purifier, Air filtration system, Conditioner. 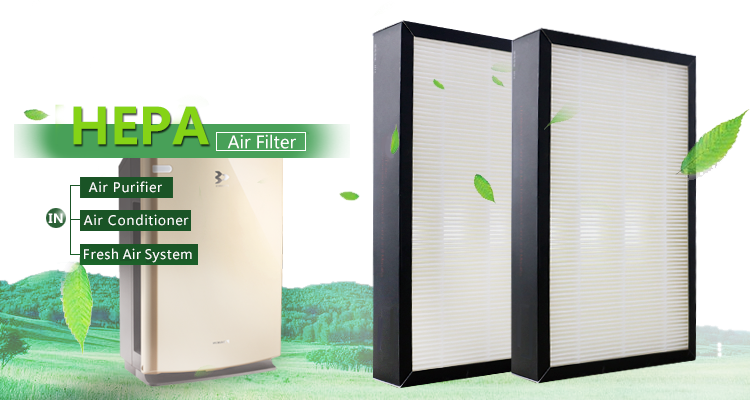 Each air purifier hepa filter is packed with a pp bag and 20 units in a carton. 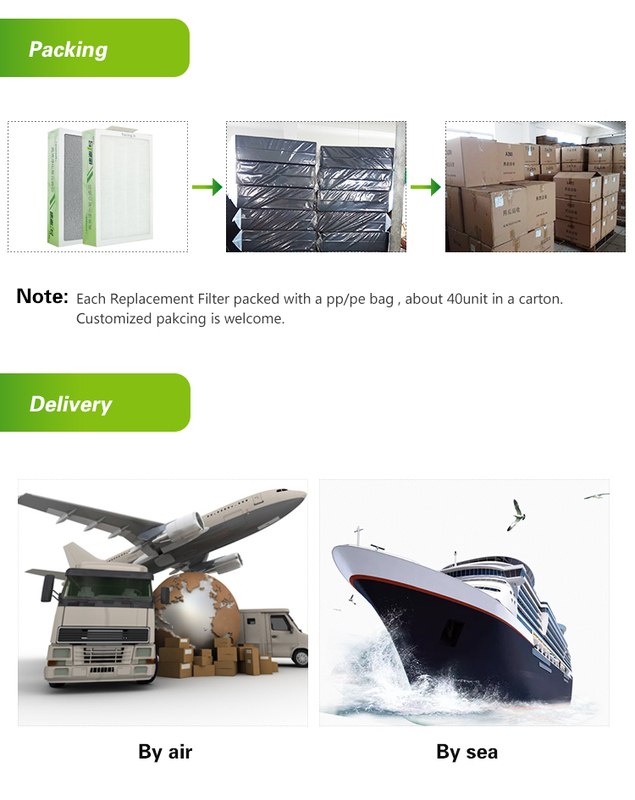 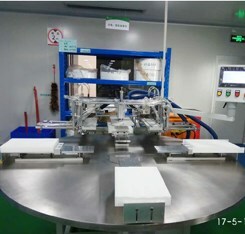 The packing can be customized. 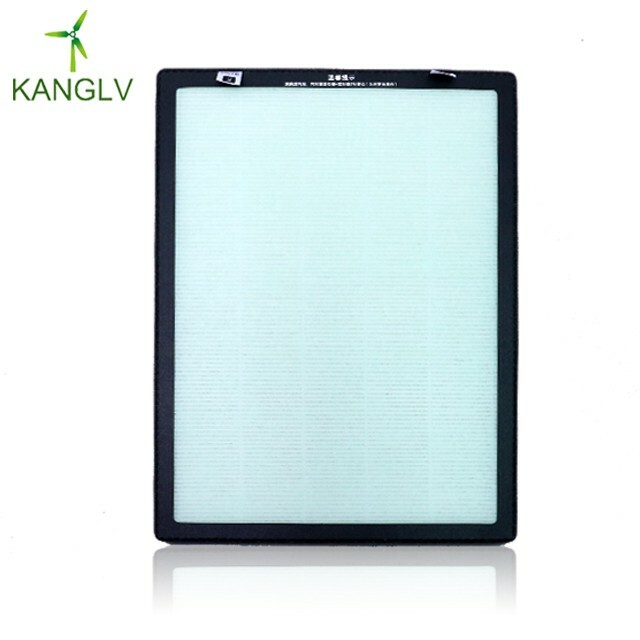 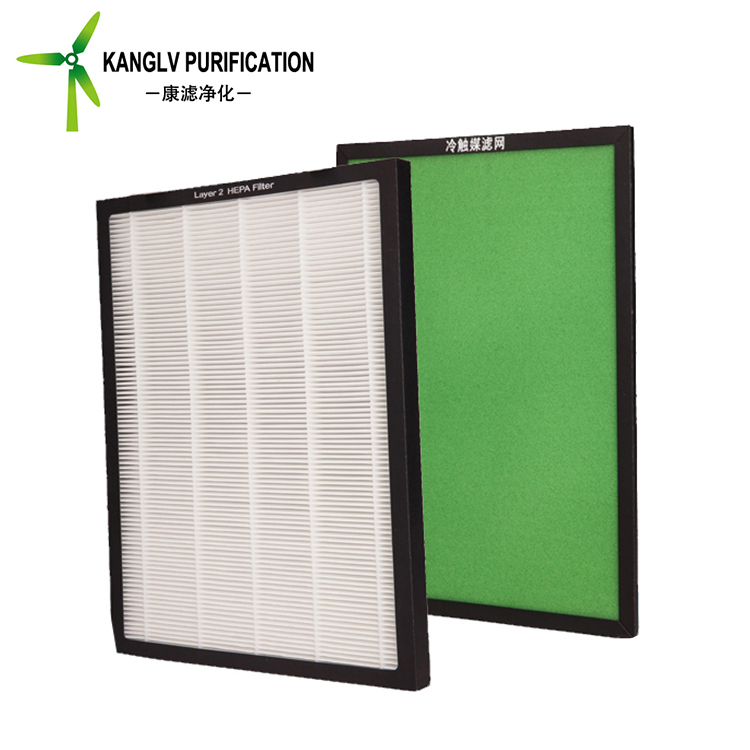 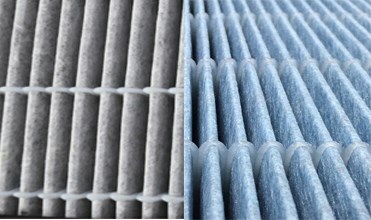 The HEPA filter paper Kanfilter 1 is made of meltblown and substrate. 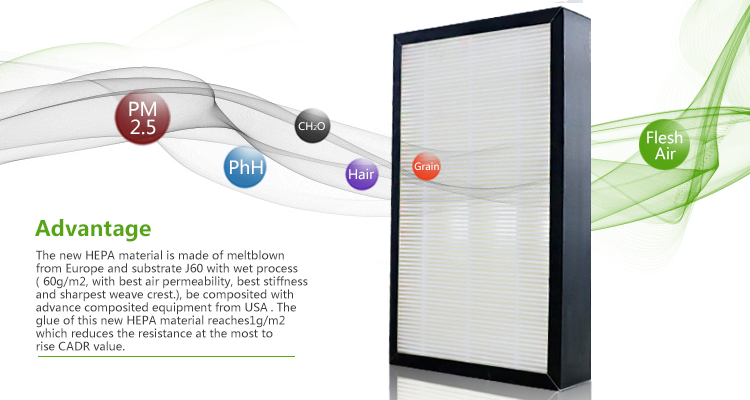 The masterbatch of meltblown is imported from Europe and the substrate is J60 with wet process. 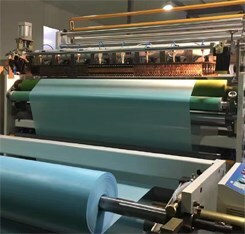 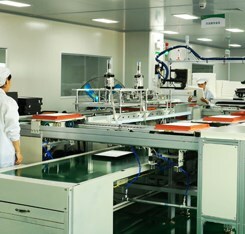 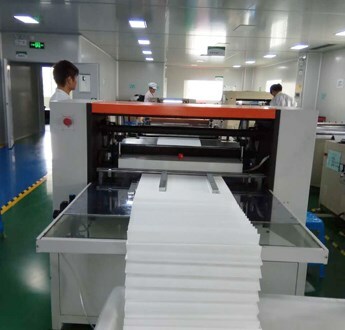 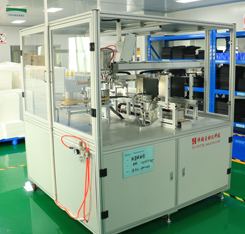 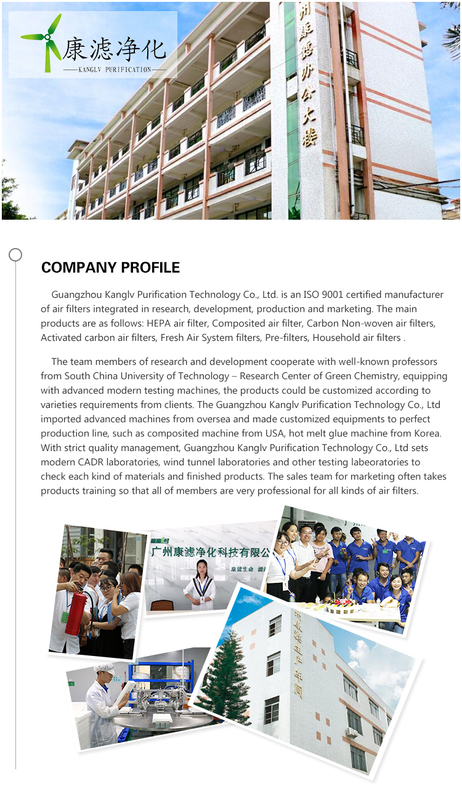 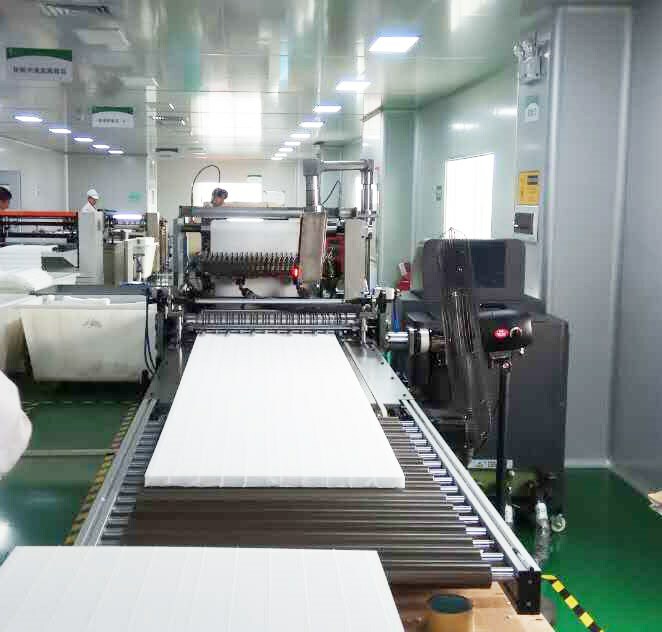 Withunique compound technology, the HEPA filter paper reaches 1g glue per square meter, high efficiency but low resistance. 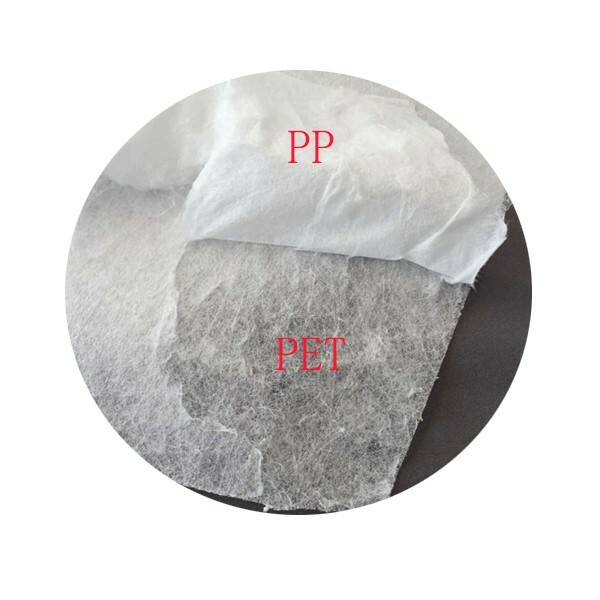 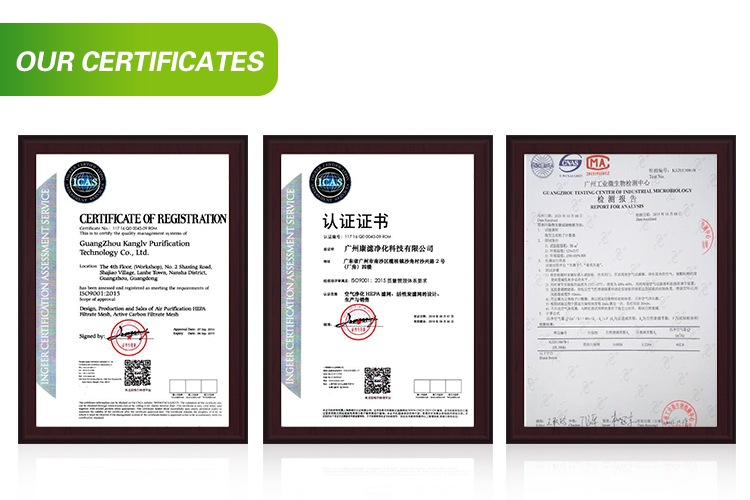 The carbon non-woven fabric is made of air filter paper fabric and activated carbon powder. 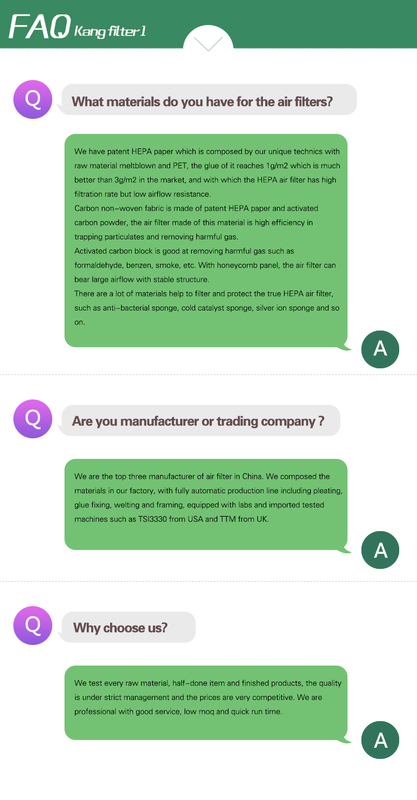 The activated carbon powder is covering the fabric evenly.It is high efficiency in trapping particulates, smoke, formaldehyde and TVOC. 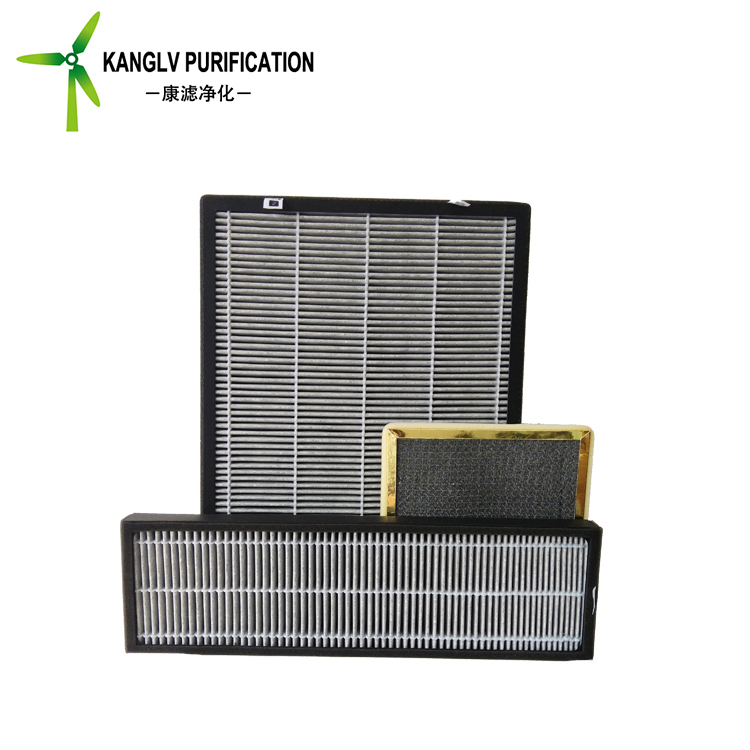 There are cylinder carbon, coconut shell carbon, carbon powder... 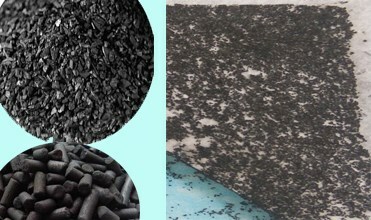 They also called modified activated carbon after nano technology and more efficient in absorbing and breaking down smoke, formaldehyde, benzene and more TVOC..